Synopsis: A group of college kids travel to a small, mountain town called Madison County to interview the author of a tell-all book on the accounts of several grisly murders that happened there. When the kids start digging around to get their own answers, they find out that the stories may be more real than the townspeople are letting on! Quick Review: Having really enjoyed Chilling Visions: 5 senses of fear and Contracted, I had great expectations going into Madison County, Eric England’s 2nd full length feature. What I forgot was that England was only 22 years old when he wrote and directed Madison County and, knowing that, I’m quite blown away by how tight the direction is and how good the film looks for a very low-budget indie movie. Eric England proves here that he is one of the best new talent working in the horror genre right now. But enough with the compliments, Madison County, unfortunately, has a lot of flaws. While the dialog sounds natural and the acting from most of the cast is above average for a slasher, the script fails to deliver enough scares and tension to keep us invested in the characters and what’s actually going on with our killer. I liked the fact that the town is kind of covering the acts of the deranged killer but, somehow, everything stays at the surface level and I would have loved to dig deeper in the mythology of the town rather than spending more time with the kids or the killer chasing them. For a slasher, Madison County is also severely lacking memorable kills or weapons and the killer does not have the intensity of a Michael Myers or a Jason, or even Victor Crowley (Hatchet). As a result, Madison County is technically a solid effort from Eric England but fails to deliver a new icon in the slasher genre. 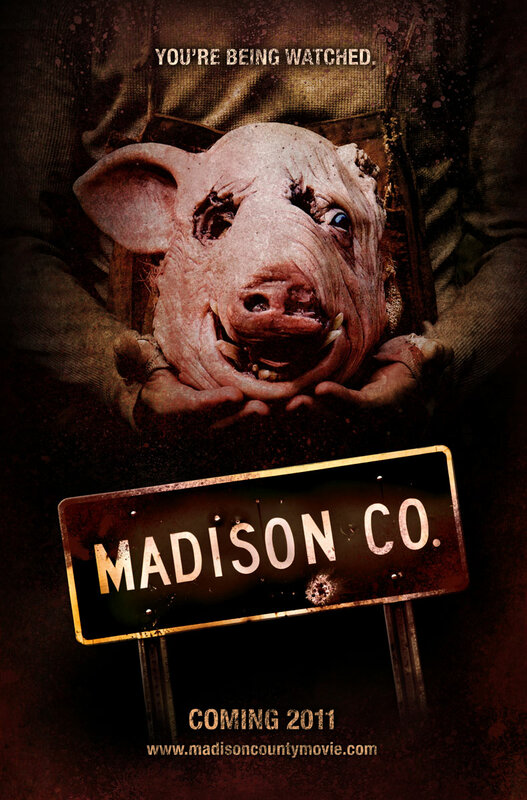 Click Here to Watch Madison County Online Now!